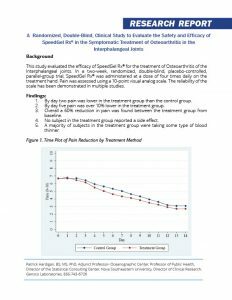 SpeedGel Rx® is a prescription transdermal gel that provides relief of pain, inflammation and bruising, utilizing patented Isopeutic™ Transdermal Technology, US Patent #5,6545337. 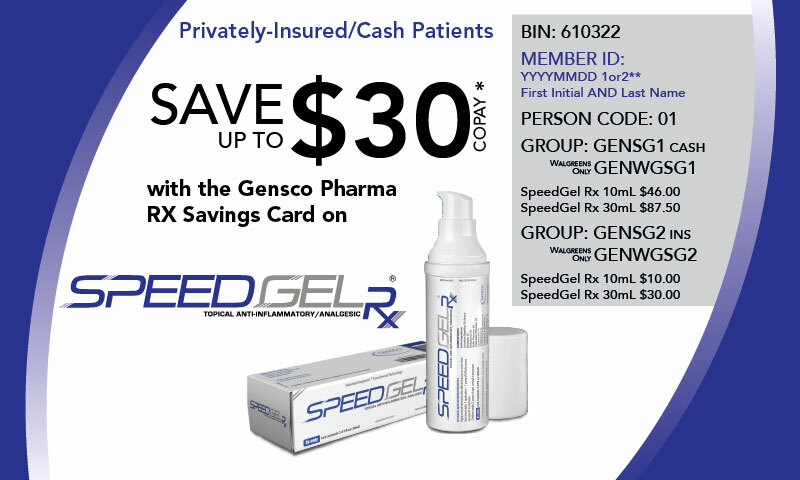 The Gensco® patented transdermal drug delivery system used in SpeedGel Rx® carries proprietary formulation of active ingredients, through the skin to the locally affected tissues. 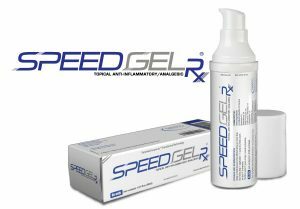 SpeedGel Rx® is applied directly to the affected site specifically, minimizing side effects, interactions and comorbidities caused by oral therapies and topical NSAIDs. Furthermore, SpeedGel Rx® is clinically proven to reduce narcotic use. SpeedGel Rx® Size 10mL NDC 35781-0210-1 0.33 fl oz. (10mL) equivalent to 40 doses. Use 3-4 times over a 24-hour period or as directed by a physician. SpeedGel Rx® Size 30mL NDC 35781-0210-2 1.01 fl oz. (30mL) equivalent to 120 doses. SpeedGel Rx® Size 90mL NDC 35781-0210-9 3.04 fl oz. (90mL) equivalent to 360 doses. SpeedGel Rx® is a proprietary combination of active ingredients, four of which are prescription, manufactured with a patented transdermal delivery system. Among the prescription ingredients is: 1) Colchicinum Autumnale, also known as Colchicine, which is a well-known, strong and effective anti-inflammatory medication; 2) Belladonna, an anti-inflammatory medication for localized inflammation and swollen joints; 3) Arnica Montana, which stimulates the healing of injured tissues and contusions, reduces edema, bruising and inflammation, and acts as an analgesic; and 4) Hypericum Perforatum, commonly used for its neurological analgesic effects. 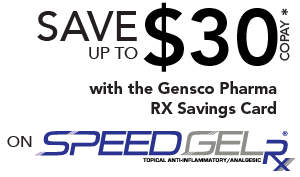 The Gensco patented transdermal drug delivery system used in SpeedGel Rx® carries scientifically formulated active ingredients, proven to relieve pain and inflammation, to the affected site. All Gensco products, including SpeedGel Rx®, are distributed to pharmacy chains such as Walgreens®, CVS®, Walmart®, RiteAid®, Kroger® and Publix® through the major wholesalers such as McKesson, Cardinal and AmerisourceBergen. SpeedGel Rx® is contracted with DAPA (Contract #SP0200-15-H-0003), Federal Supply Schedule (FSS), making it accessible to all military personnel and is also available to all MEDICARE patients (Medicare Contract #P1466). SpeedGel Rx® is available through these Group Purchasing Organizations (GPOs): Intalere, Innovatix, MedAssets, Premier, MHA, ROi and Vizient.